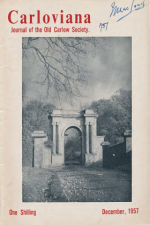 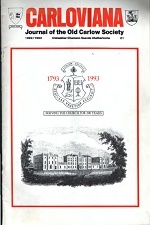 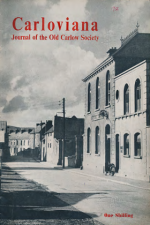 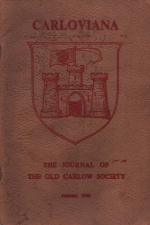 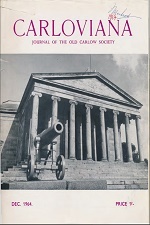 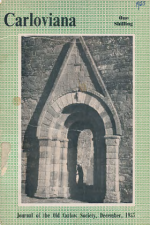 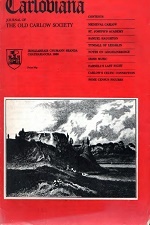 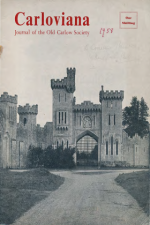 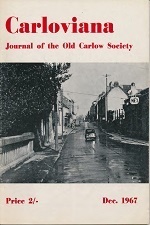 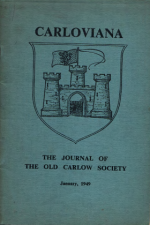 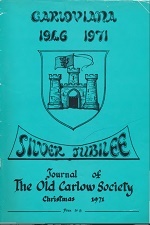 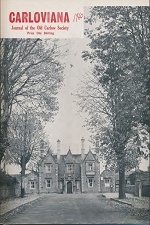 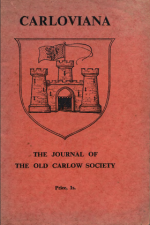 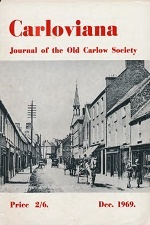 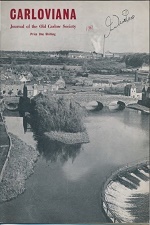 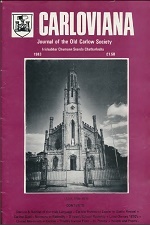 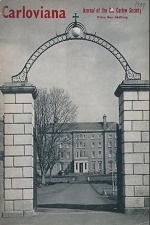 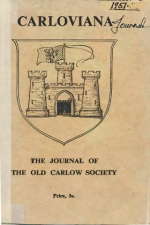 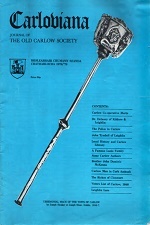 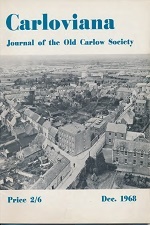 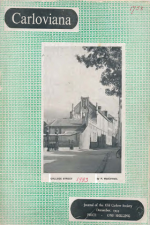 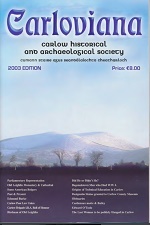 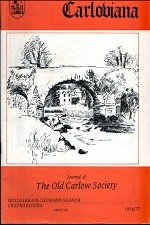 The copyright of all material (including articles, audio and video recordings and photographs) on this website is owned by the author and/or Carlow Historical and Archaeological Society. 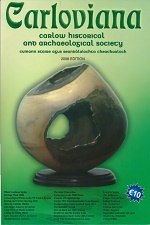 Access to online content is strictly provided for the purposes of private study or research and all other rights are reserved. 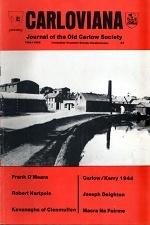 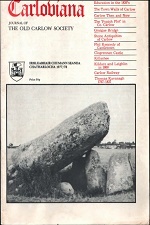 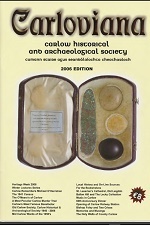 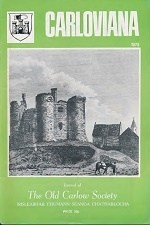 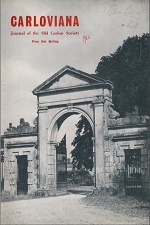 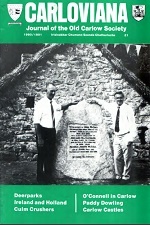 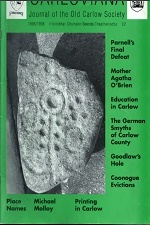 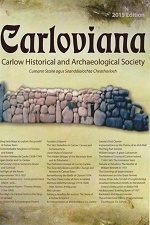 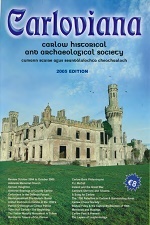 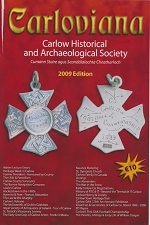 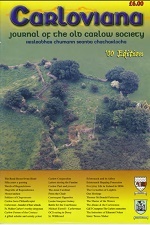 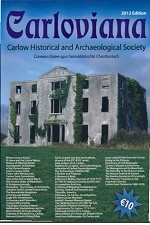 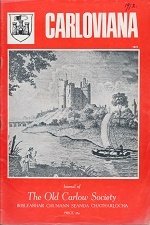 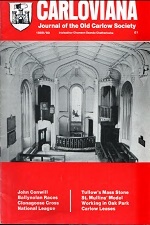 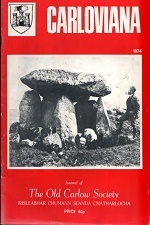 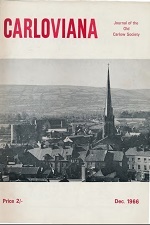 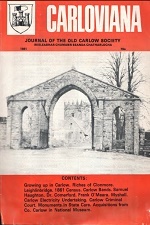 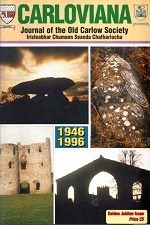 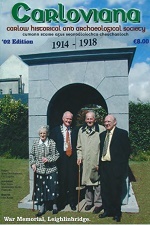 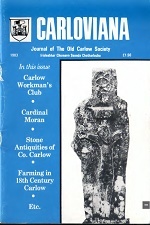 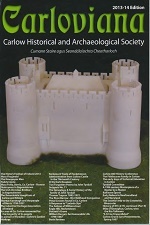 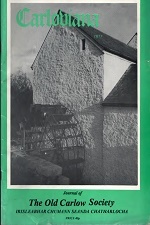 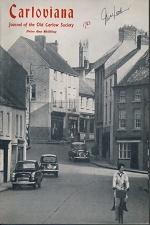 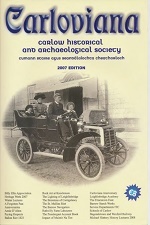 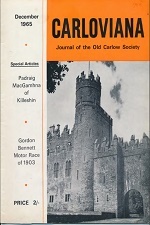 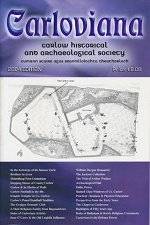 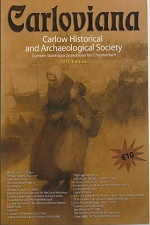 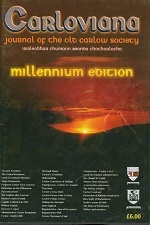 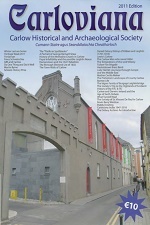 No permission is granted to re-publish any part of material made available without the prior permission of Carlow Historical and Archaeological Society and/or the Author. 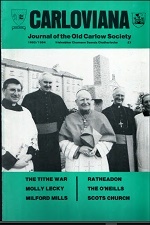 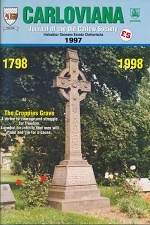 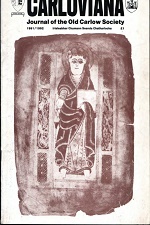 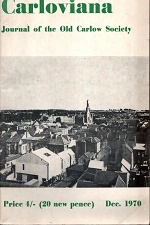 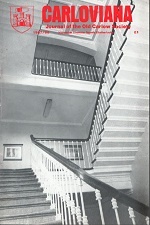 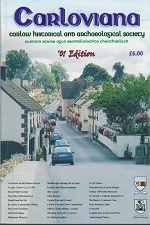 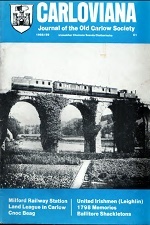 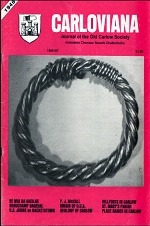 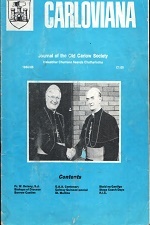 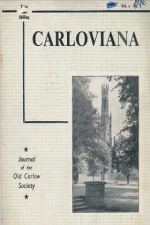 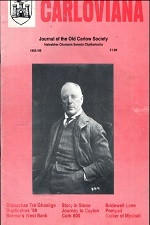 An Index has been compiled of every past issue of Carloviana up to 2010. 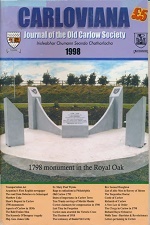 To view and search the index click on the link below. 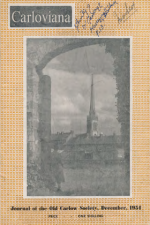 This will open a PDF in a new window.